Ready to Celebrate a Special Day? If you're heading out for a fun night on the town let us help you celebrate your event. 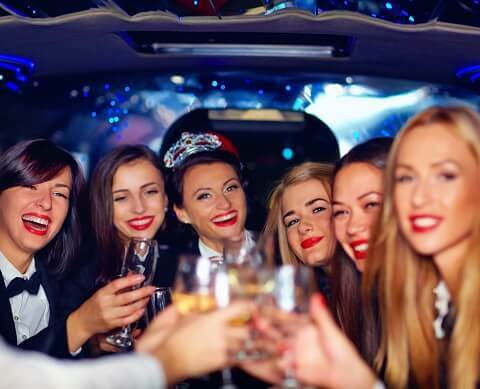 Whether it's a birthday, an anniversary, a bachelor or bachelorette party, sporting event, or just a night out, Hoosier Connection Limousine can take you and your guests safely to and from your destination(s). Need a Party Bus in Indianapolis? Check out our Mercedes Sprinter Party Bus, which can carry up to 14 passengers. We can get your whole party wherever you need to go in the greater Indianapolis area. For our guests over 21, let Hoosier Connection Limousine be your designated driver while you celebrate responsibly. Don't spoil your celebration by getting in trouble with the law. Click below to get the party started!